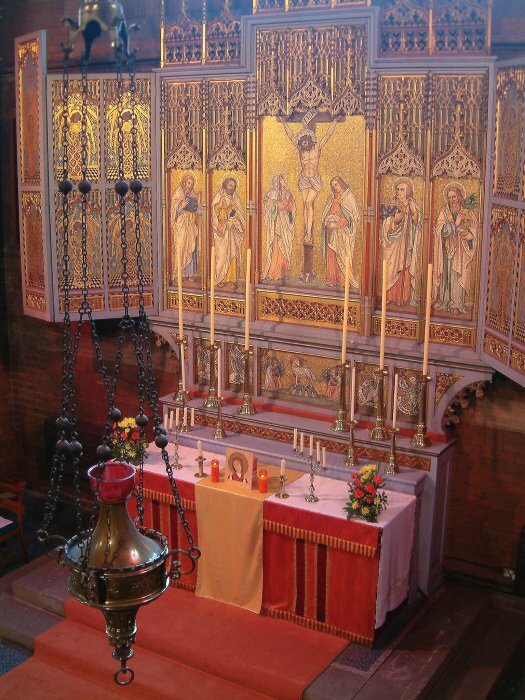 For over a century, the people of St Faith's have marked October 6th as a red-letter day in our church's year. 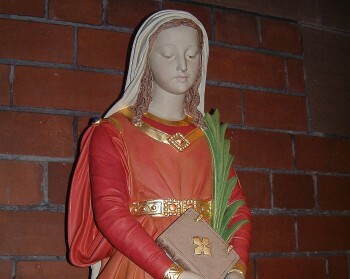 It is the feast day of Saint Faith, Virgin and Martyr, patron of our church since our founder, Douglas Horsfall, named her as such for the church's consecration in 1900. In recent decades, October 6th or, depending on the calendar, October 5th, the Eve of the Feast, has been marked by a High Mass celebrating our foundation and our patron, while the days within the Patronal Octave have also been marked by special events: liturgical, musical and social. The links below record, in words and pictures, the celebrations of recent years. There are also links to a range of other pages, fetauring information (and legends) about Saint Faith and her shrine at Conques, in France and details of all the other churches (and places) associated with or dedicated to her in the UK and throughout the world - or at least the ones we know of! 7.30 pm Procession and Patronal High Mass. Celebrant and preacher: Canon Richard Capper, Canon Pastoral, Norwich Cathedral and one time Vicar of St Faith's. Followed by buffet supper. 10.30 am Eucharist, followed by Bucks Fizz and nibbles. 6.00 pm Festal Evensong, Procession and Te Deum (no sermon! ).